Does works seem to expand and fill all available time? The solution is to reduce the amount of time you have to get the work done. When pressed, most people can get the job done in half the time. How? It may take some creative thinking, but it is well worth the effort. 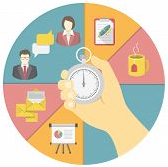 By working more efficiently, you may find that you will have newfound time to put towards other interests. The possibilities are endless. This not only works in the business setting, but also at home. How? Hire a house cleaner (click here to see my tip). Set a timer for one hour. Pick a task and try to complete it before the timers dings. Get a buddy to help you with a project. Or have a buddy call you every hour to get the progress of a task. This helps turn a menial task into a fun game. Afterwards, you will feel great that you’ve gotten it out of the way. Having more time attracts success and opens you to opportunities that give you joy. The statements expressed herein have not been evaluated by the Food and Drug Administration. This website and related services are not intended to give medical advice, make diagnoses, or hinder you from seeking care from a licensed medical professional. Any of the resources suggested by the owner of this site are for information purposes only, publicly available to anyone, and are not intended to diagnose, treat, cure or prevent any disease. You are encouraged to consult your healthcare provider before making any changes in diet or lifestyle. The information given by the owner of this site is not intended to replace the services or instructions of a physician or qualified healthcare provider. It is the individual’s responsibility to evaluate and choose service providers that they believe will satisfy their requirements and provide care that will meet their needs. Lastly, we respect your privacy so all emails and personal information will remain confidential. Insurance: the story goes – if you have it you’ll never need it, but if you don’t, disaster will strike. Today’s to do is to get insured. Sign up for health insurance, get renter’s insurance, if you own a home you must have home-owner’s insurance, and consider life insurance (term insurance) if you have someone who relies on you or your income. And if all of those are taken care of, you may even want to add long-term-care insurance to that list. This will help you attract what you want in life because it will give you peace of mind. You wouldn’t want to lose your hard-earned cash reserve unnecessarily. You can protect this beyond your life by also considering a will and living revocable trust. It is a wise move to include seeking out professional help to set these types of accounts up. You will be protecting yourself and others in the process. December is usually the busiest time of the year and most people find themselves doing more entertaining than any other time. But now that the holidays are over, don’t let that stop you from having a reason to hire a housekeeper so that you will feel free to relax and enjoy your friends and family instead of worrying whether the dust bunnies are escaping? If you don’t like cleaning, have somebody else do it. Hate to cook? Order a ham or turkey cooked by your favorite grocery or restaurant. I’m a love the idea of having a housekeeper clean the house once a month or once a week. But even if you prefer to clean the house yourself, why not hire a cleaning service to help out just this month so that is one less thing you have to worry about? If you are spending too much time shuffling paper around, block off one hour a week strictly for organizing, systematizing or automating – not doing actual work. Start by blocking off one hour a week strictly for organizing, setting systems in place or automating; not for doing actual work. Your mission is to set up a process to handle the tasks which you do on a regular basis. Set up direct deposit and auto debit to free up your bill writing time. 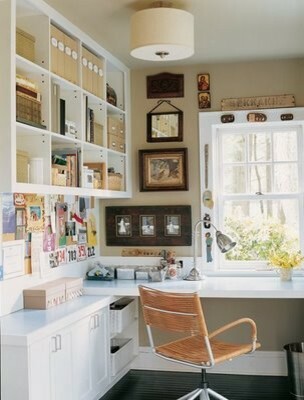 Revamp filing drawers in your home or office.The time you invest during this block of time will pay big dividends with time saved and stress relieved. FYI… you will not get it all done in one hour. It’s ok, keep at it.- one hour at a time, each day for a week. You will be AMAZED at the progress and how great it feels to see your long-lost desk top. Spend 15 minutes filing papers, tossing out old papers, or just clearing off your surface. The more you automate, systemize and organize, the more time you will regain for creativity, focus and investing into what matters most to you. Use technology in a way that fits for you. Some may be techno-gurus and others find it a necessary evil. See your In-box and make it mind you. One of the monsters which often rears its ugly head is your “In-Box.” Your’s may be the inbox of an email program overflowing with more than what you can conquer in a lifetime. Some may have a physical inbox filled with advertisements, unread newspapers and past due bills. Regardless of what your nemesis looks like, you need to stand tall and face the facts. We are told we can be paperless. We can store it in the cloud and we can have it all wherever we are, whenever we want it. This may be true… for those of your who are techno gurus. Not all of us are, I know I am not. The battle is real, and you must win. Sub-tip: Throw away your accumulation box: toss it, refer it to someone else, act on it, file it. Ongoing stuff can be put in a pending or project file. Only touch the paper once. Clear everything off your desk everyday. Setting aside time to organize is essential to success. Schedule a one hour time block and begin to sort, toss and organize your in-box and paper piles. Set a timer so you know when to stop. Step back , smile and congratulate yourself for taking charge of your corner of the world.